About – The Elm Press, Inc. 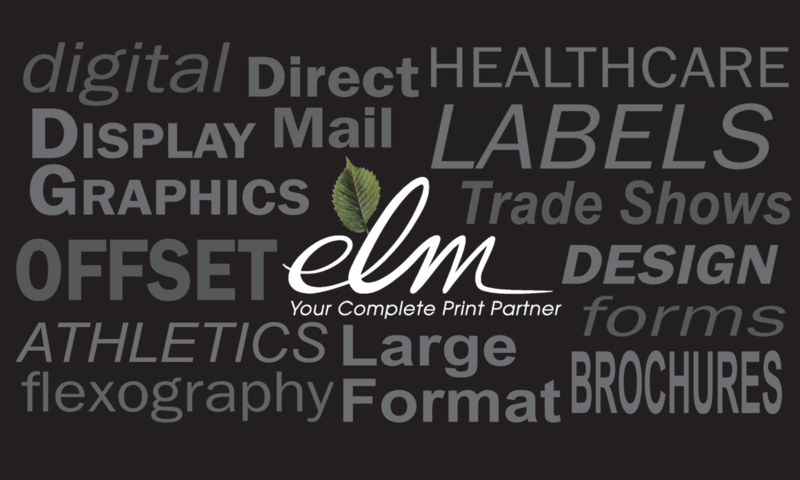 The Elm Press was incorporated in 1966 and is a second-generation family owned business. The foundation of our business has been and continues to be a dedication to providing our customers with exceptional service. We take great pride in and value the relationships that we have formed with all of our clients. On every job, regardless of size, we strive to meet the quality, delivery, and pricing challenges presented to us. Doing so requires a firm understanding of our clients needs, a willingness to break paradigms, and often a selfless devotion to getting the job done. Our facility is located in Terryville, Connecticut. Design, production and distribution services are all based out of this location. This centralized location in New England allows for easy access to distribution lanes and services across the country. A third of our employees have been with the company for over fifteen years and the majority of the others have been on-board with us for more than ten years. The stability, experience and size of our workforce have many benefits. Every customer has a sales representative, an inside customer service representative and a designer who are all intimately familiar with their needs. While creating personalized service teams, we also ensure redundancy and cross training across all of our varied departmental staffs. In addition, all of our employees are encouraged to grow professionally; seek out and embrace change; and to challenge traditional paradigms. All of which drive customer results and satisfaction. Like most businesses today, we have had to refine our business model in order to guarantee our continued viability. Ten years ago we were simply a commercial offset printer who only put ink on paper. Today, we are very different. The goods and services we offer are incredibly diverse and afford our customers a consolidated vendor for all of their business communication needs. Our ability to fulfill these needs, in both a timely and competitive manner, is a direct result of two factors. First, we have and continue to make investments in business, information, and production technologies, which afford every economy attainable in the printing industry. From design to distribution of the finished piece, we have stayed at the forefront of the industry. Secondly, we have created and continue to refine a network of strategic partnerships with trade vendors for products and services that are best fulfilled by specialty manufacturers. These partnerships allow us to achieve economies and offer products normally only found with national or specialty vendors. Having the flexibility to meet a customer’s need with either our own assets or those of a strategic partner is a very unique strength of our company. The changing nature of business communications dictates that printing vendors be faster, more flexible, more diverse and smarter than ever before. The Elm Press is all of these. While we have the sophistication, products and services to compete against larger or national vendors, we have not lost our commitment to value and dedication to excellence.